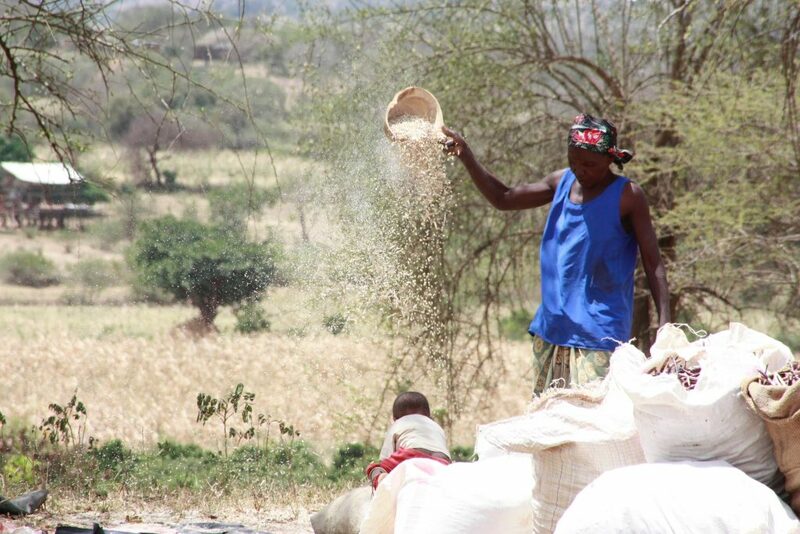 A farmer sifting grain in Makueni county, Kenya. The challenge of food security is one that successive Kenyan government administrations have grappled with since independence. With only 10.2% of arable land in Kenya, discussions on food security are a norm in the country. These deliberations fall within the greater African ambit. Despite having larger tracts of undeveloped land, Africa’s soils have poor soil structure, unable to sustain adequate plant growth compared to soils in Asia and Europe. This has posed a major challenge to the sustainability of food security among the countries in the continent, leading to increasing cases of malnutrition, hunger, economic marginalization and increased dependence on importation of food to meet the needs of a growing populous. CAADP was developed to address this. The African Union has promoted the institutionalisation of the Comprehensive African Agriculture Development Programme (CAADP), a radical programme that aims to revitalize the agricultural sector by implementing sound policies for agricultural and rural development, promoting active participation of all the stake holders in national and regional levels in matters concerning agriculture development by ensuring collaborative efforts at the national and regional levels and the preparation of bankable projects for the mobilization of resources for investment in agricultural growth. CAADP was tabled at the Assembly of the African Union, in its second ordinary session in Maputo, Mozambique as a Declaration by the heads of State on 10th to 12th July 2003. Under Declaration 7 (II), the Heads of State and Government declared that the implementation of CAADP would require the adoption of sound policies for agricultural and rural development including a pledge to commit to allocation of at least 10% of national budgetary resources to agriculture and improving the productivity of agriculture to attain an average annual growth rate of 6%, with regular attention to small scale farmers, especially focusing on women, within 5 years. By signing the Maputo declaration in 2003 the Kenyan government pledged to implement the guidelines as stipulated under CAADP, towards the invigoration of the agricultural sector. However, progress has been painstakingly slow. The Maputo declaration was followed by the Malabo declaration, which recommitted the Heads of State to the principles identified in the Maputo declaration. However, a reading of the declaration reveals greater emphasis placed on the implementation of CAADP than was previously stipulated in the Maputo declaration. Malabo notes with concern how States have approached the implementation of the programme. As a result, it commits to puts the States to account on their actions and results. Implementing CAADP promised to reduce poverty as it was reported that growth in the Agricultural sector is eleven times more effective in reducing poverty than growth in other sectors. Indeed, Ghana, Burkina Faso and Ethiopia, adherents of the Programme, have experienced reduction of poverty levels by at least 44% and the creation of about 100,000 jobs. Harboring such great promise, it is puzzling why some of Africa’s governments are slow to implement the programme for the sake of development. As an African Union member state, Kenya adopted both the Malabo and Maputo declarations and voluntarily acceded to the CAADP Compact on 24 July 2010. However, implementation has been an arduous task. 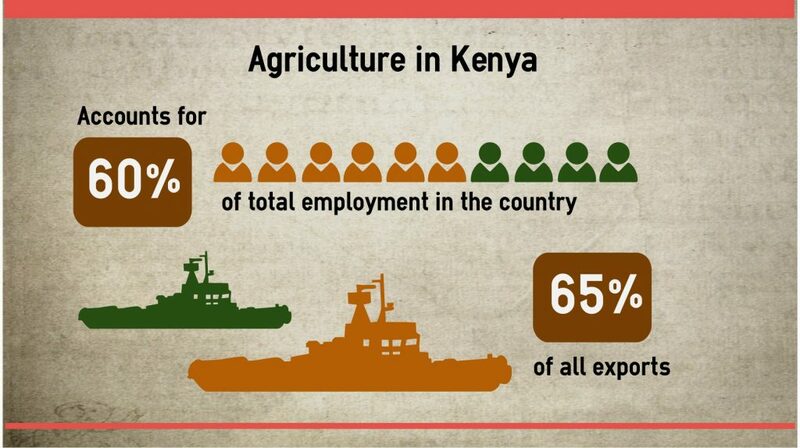 The reasons hedge on the fact that the agricultural industry in Kenya has been the subject of much contestation. Agriculture is placed at the helm in policy deliberations as it employs about 60% of the total workforce and contributes about 30% to the country’s GDP. Over time, it has been changed from policies advocating the central role of government in management of the industry to those leaning towards a market driven sector, in which, government’s role is minimalistic. The tendency has been to liberalize the industry, but owing to its seminal nature, the government has maintained a regulatory role. This, has unfortunately, been disruptive at times. The results have gradually impacted the role of other stakeholders, the output of the industry and its impact in Kenya’s economy. A study of the agriculture industry in Kenya reveals that government has faced major challenges in the development of the agricultural sector. There were, however, successes experienced by the Strategy for Revitalization of Agriculture in the implementation of the Agriculture Sector Development Strategy (ASDS) through the Agriculture Sector Coordinating Unit (ASCU) over the years. ASDS served as the original National Agricultural Implementation Policy as prescribed by CAADP. ASCU coordinated the work of ministries and stakeholders to address the challenges experienced by the agricultural sector towards the aspirations of the Economic Recovery Strategy which was formulated by the progressive NARC government which assumed power in 2002. Despite the various developmental strides achieved towards a full implementation of CAADP, progress has stagnated as a result of changes in the structure of government as brought about by the adoption of the new Constitution in 2010. The constitution comes as a welcome response to challenges confronting the country especially the question of ethnopolitics and neopatronalism as defined by Migai Aketch1. These involve the usurpation of public resources by the political elite, which they then use to dispense political patronage for purposes of preserving political power. Agriculture has labored under these informal structures, directly affecting the small-scale farmers involved and other minor stakeholders. This could be seen in how the Constitution under article 10 propounds values that guide leadership and formulation of policy such as public participation, democratic ideals, social justice, sustainable development and the rule of law. The decentralization of resources through devolution of counties flows from these principles. To eliminate rent seeking behaviour among the major agriculture stakeholders, loosen the grip of the national state in the industry and encourage the ideals of the new Constitution, devolution of authority, resources and planning is necessary. However, the advent of devolution casts questions on the implementation of the Maputo and Malabo declaration. ASDS as the National Agricultural Implementation Policy in Kenya would need greater public participation as stipulated in the Constitution. County public participation is now required in addition to deliberations with the national government, donor partners and other stakeholders. One question is how the ASCU will coordinate 6 ministries that are now either directly or indirectly involved with agriculture while involving the County governments in this? The issue of public finance is brought to fore under article 175 which stipulates that county governments shall have reliable sources of revenue to help them govern effectively and articles 110, 111 and 112 which concern the legislation of bills relating to county governments by the National Assembly and the Senate. With the right to food as a social economic right under article 43, the implementation of some of the government’s agreements such as CAADP become vital. The Programme stipulates that governments should allocate at least 10% of their national budget to agriculture. A second question is how national government ensures that this happens considering the agro-ecological nature of different counties and their unique sub-national priorities while involving county stakeholders in these deliberations. A third question is how to reconcile the role of national government and county government as recorded in the Fourth Schedule of the Constitution with the commitments made under the ASDS. Under the ASDS, functions such as fisheries, improvement of water resources, livestock breeding and animal disease control and irrigation development are contemplated as functions of the national government while today; they are the preserve of the County government. The question is how to accommodate this structural change while maintaining the oversight of national government. A fourth question is on streamlining the laws involved in agriculture. Land laws have undergone major reform. Legislators are still working on agriculture legislation. The Land Control Act reinforces the concept of sustainable and effective use of land, which impacts positively on agriculture. A study on the implementation of these laws in light of CAADP is necessary. This will include the proper registration and maintenance of land records in the various counties and an increase of the area of land under cultivation. The question is hence, which institutions will coordinate these functions between the national government and the counties to come up with congruent land policy in all regions in the country. These are the various questions that arise when we consider implementation of CAADP in the light of recent devolution. The various policy documents, institutions and laws that will answer them will lead to development of the agricultural sector as envisioned by the Heads of State in their summits in Maputo in 2003 and in Malabo in 2014. This is necessary for the alleviation of poverty among the rural poor, creation of income opportunities, growth in the economy a fulfilment of the principles of social justice together with ensuring freedom from hunger as provided for in the Constitution. About the author: Kasyoka Mutunga is a law student at the Strathmore University in Nairobi, Kenya.